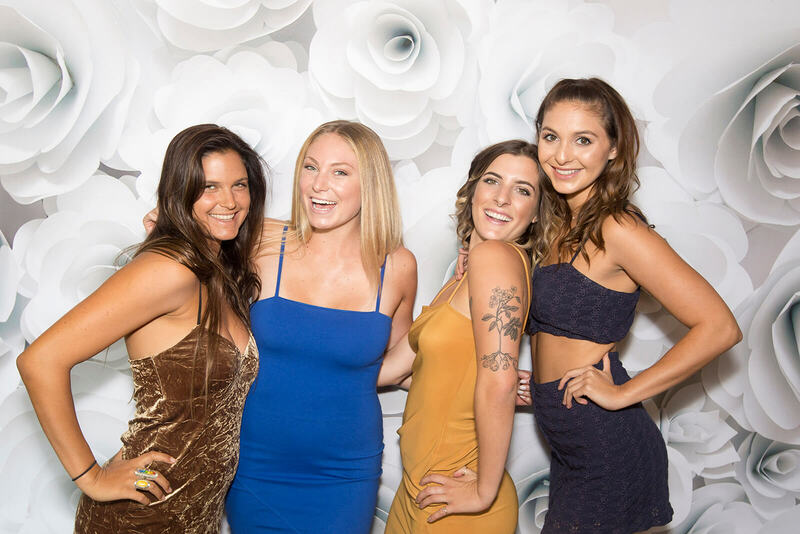 Either an open air or closed inflatable photo booth style, our traditional photo booths create memories and bring life to any event. Keep it simple with fun props and smiles or add on one of our many effects to enhance your guest experience. We pride ourselves on using the latest in digital technology and professional lighting to capture the most creative, hilarious and priceless photos. Our photo printer is of the highest quality to create long lasting prints that will be cherished by your guest forever. Check out all our booth styles! An open air style booth with a twist! Have you ever dreamt of riding with Marty in the DeLorean or be Mario in Super Mario Brothers? Green Screen can make your pictures come to life! Our Green Screen Technology allows you to drop your guest in to any scenario imaginable using custom background photos. They will enjoy an interactive experience where the sky is the limit...sore, jump, hanging upside-down, even dive into a flute of champagne on New Year's Eve! The possibilities are endless. A Selfie Station is an amazing digital photo booth with a built-in sharing kiosk. 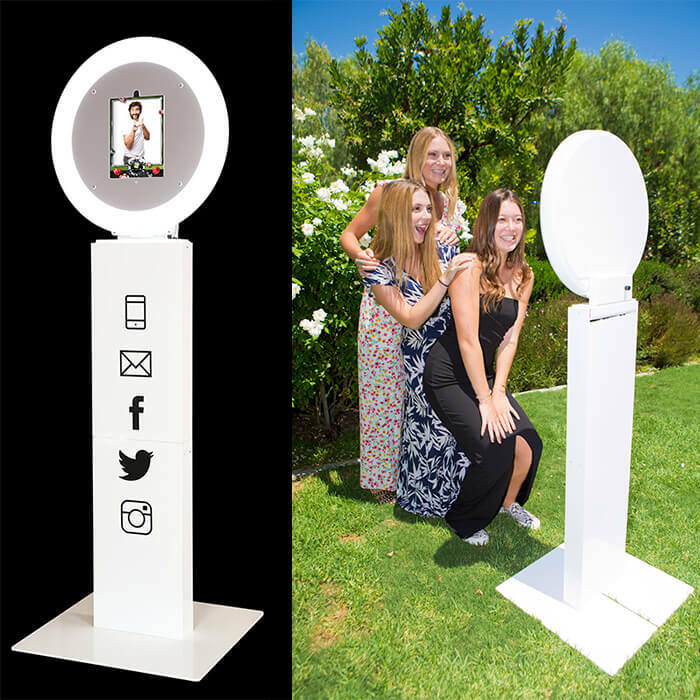 Selfie Station is a new photo booth with modern design and cutting edge technology. You will love sharing amazing pictures to your phone, email, and social media. 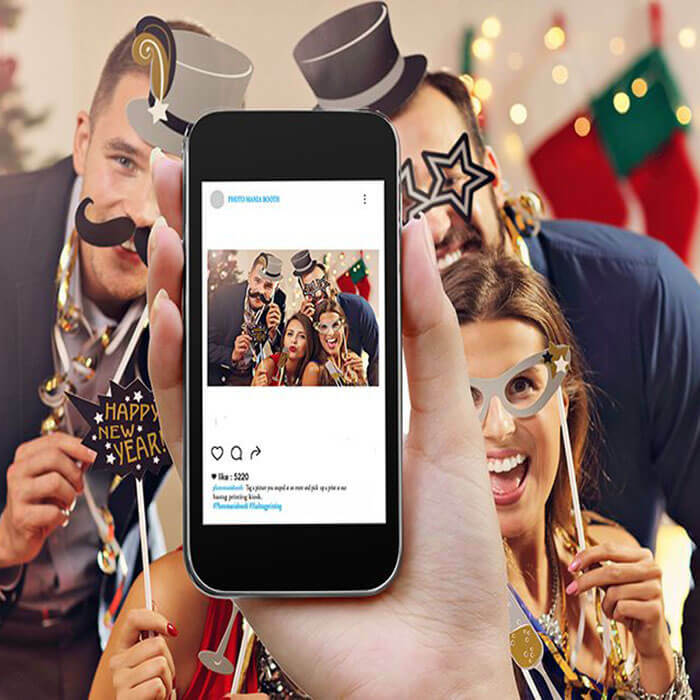 Selfie Stations are great additions to weddings, corporate events, activations, bar/bat mitzvah, sweet 16 or any event you wish to celebrate! This is a series of photos telling your fun story! Animated GIF/Boomerang takes a handful of your snapshots with different poses and turns them into mini animation. Think of a GIF as a movie that plays over and over. Give your guest the opportunity to experience something fun, unique and leave them feeling like a star. A new twist on an old school. We set the stage with backdrops, lighting, get the scene video-ready, so your guests will be the star of the show. 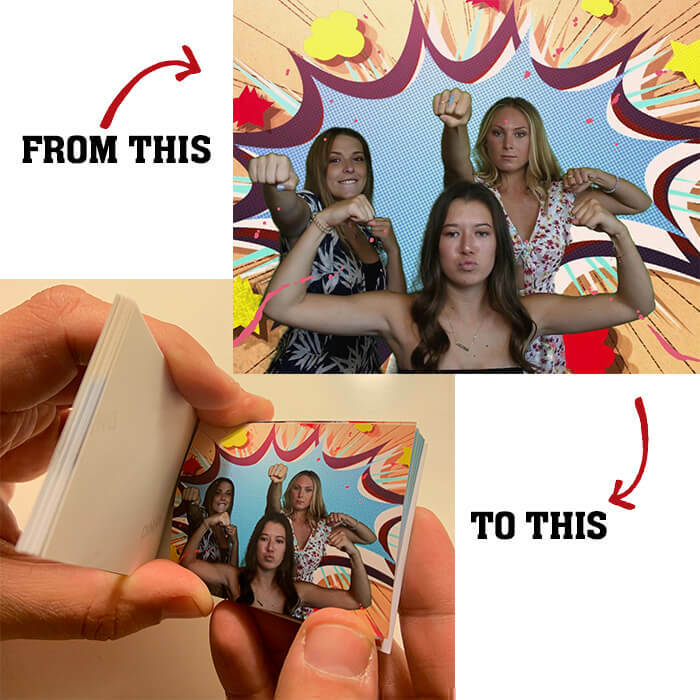 After filming, the flipbook is magically transform like an old-time movie in minutes that prints. Tis amazing keepsake come to life for all to enjoy! 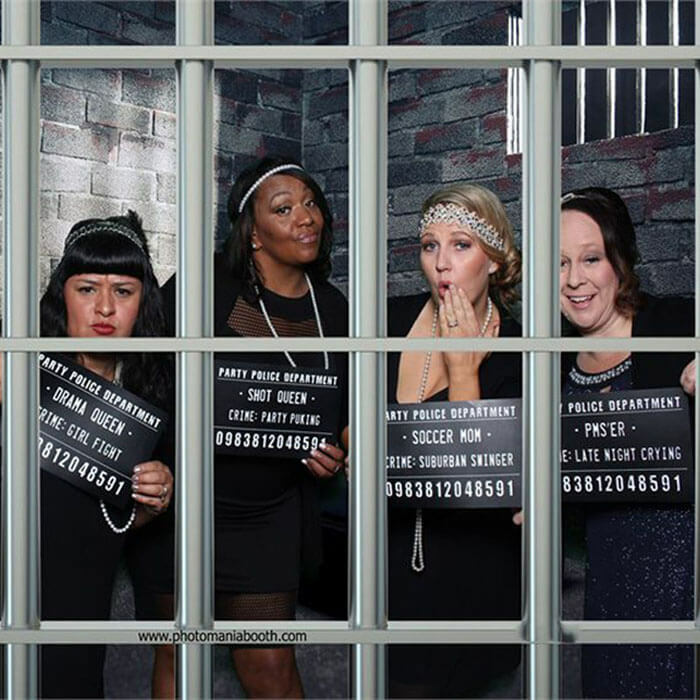 Photo Booth Mania was the hit of our party! We used them for a personal party and for a corporate event and both times we felt like we received the best possible outcome. Jack, Pam and their staff are very friendly and professional. They have a great assortment of props to make the photos fun and the take away photos were very good quality and so was the service. I would recommend this company to anyone having an event. They just add the extra special touch to your party or event that makes everyone remember what a great time they had. 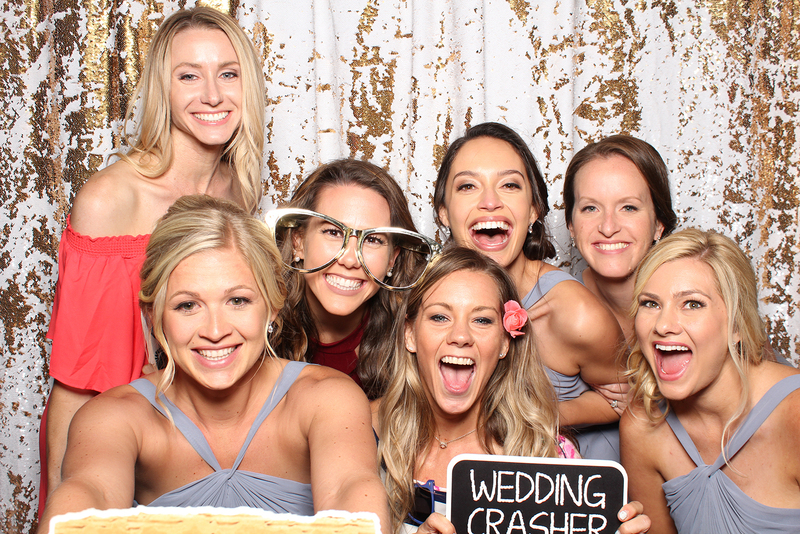 Photo Mania Booth was the best investment that I could have decided to say Yes too. As a financial consultant to many families. I know how important families are to everyone. Having a way to capture my client appreciation event of my clients and their family was crucial. Photo Mania Booth was very professional, kind, helpful and was very tentative to taking pictures. The pictures were of very high quality and you got a picture for everyone in the booth. All i can say everyone went home with a found memory of that day thanks to Photo Mania Booth.